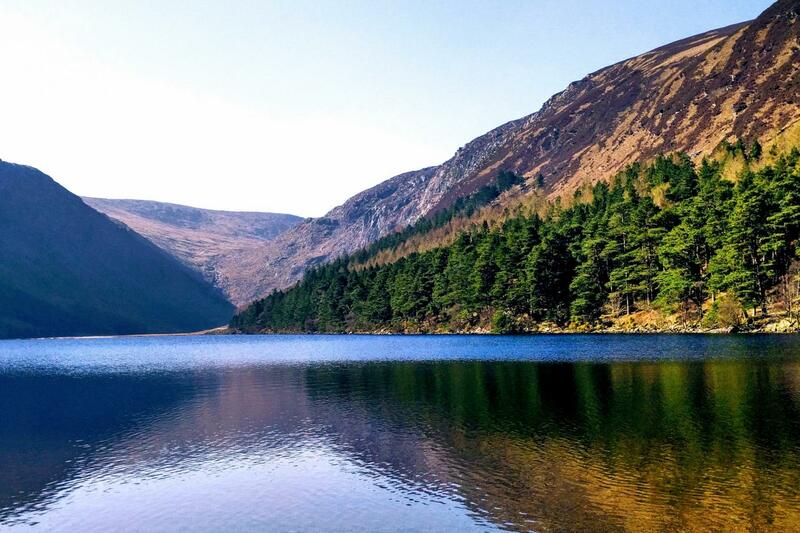 Head to the Country Wicklow, also known as the Garden of Ireland, on this day trip from Dublin with your local Gray Line guide to admire the breathtaking countryside. Wander through the Wicklow Mountains until our first stop: the Glencree Valley, home to the famous Glencree Cemetery. As we drive through Wicklow and past Sally's Gap, some of Ireland's most filmed landscapes, we will arrive at the the bridge made famous by the movie 'P.S. I Love You' for a quick selfie stop. Following the photo op we will continue to Lough Tay, also known as Guinness Lake because of its dark waters and white beach. This lake was a filming location for the epic movie 'Braveheart' as well as for the television series 'The Vikings'. Continuing onto Glendalough for a guided tour, we will visit St. Kevin's Monastery, Celtic Crosses and more. Learn about the Irish monks that once resided here as marvel at the incredible scenery. As a Gray Line customer, enjoy exclusive discounts at our final stop of Avoca Village. We recommend eating at a local bar called Fitzgerald's, where along with a discount on a traditional Irish meal, you will also receive a complimentary shot of whiskey before we depart back to Dublin. The tour will end where it began in the city center, arriving at approximately 5:30pm. Great tour ! Very beautiful view ! Great tour despite weather tour guide, Richie made experience fantastic. My only hesitation in not giving 5 stars is I would have liked to see more of Avoca at the end. Beautiful landscapes ! A lot of bus however but it is probably difficult to do better in one day. Good restaurant at the end, the stuff is really quick !